When we moved into our 1877 stone built barn conversion 5 and a half years ago, we wanted to put our own stamp on it as it had previously been a rental house and the decor felt very 90s and overall it was all a little bland. We focused mainly on improving the main areas of the house like the kitchen and the living room. Soon after that we were decorating the nursery for our first baby and more recently we did a complete hallway makeover and then when we were expecting our second baby, we did a complete makeover of the attic bedroom to create a nursery for him too. But one room which we unfortunately neglected to pay any attention to was the master bedroom- bizarre really as we spend so much of our time in there. The room itself is very neutral with plain white walls so we never really felt much need to change it, but I always felt there was something a little lack lustre about it. It was only once we put our house on the market earlier this year that I felt we needed to update the room just to make it have that wow factor that it was lacking. Obviously we didn't want to spend lots of money on a complete makeover if we were selling the house anyway so I teamed up with Laura Ashley to do a mini makeover and found a few simple ways to transform our plain bedroom into beautiful sanctuary full of character. 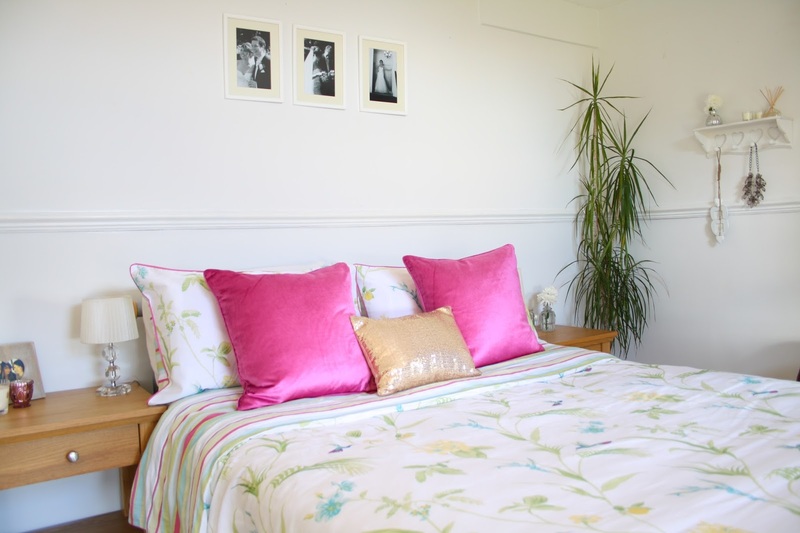 You can see my featured room makeover on the Laura Ashley blog. I must admit I normally just use white bedlinen, but with the plain white walls, the whole room felt a bit stark. 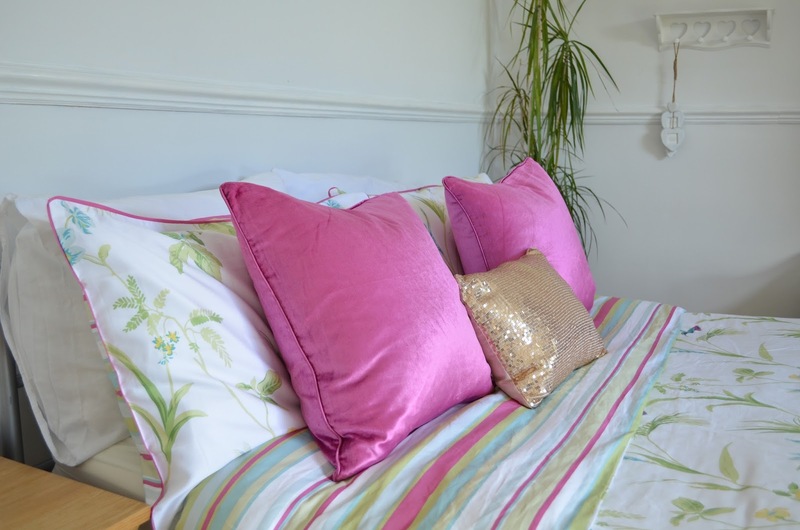 By changing the bedlinen for a style with a pattern and a bit of colour, I was able to inject a bit of interest and colour into the room without the expense and hassle of redecorating. I couldn't wait to have a browse through the Autumn Winter 16 range and immediately the Orchid Print bedlinen range caught my eye, it's just so pretty. The hummingbird details are beautiful and match the teal colour of our curtains perfectly. 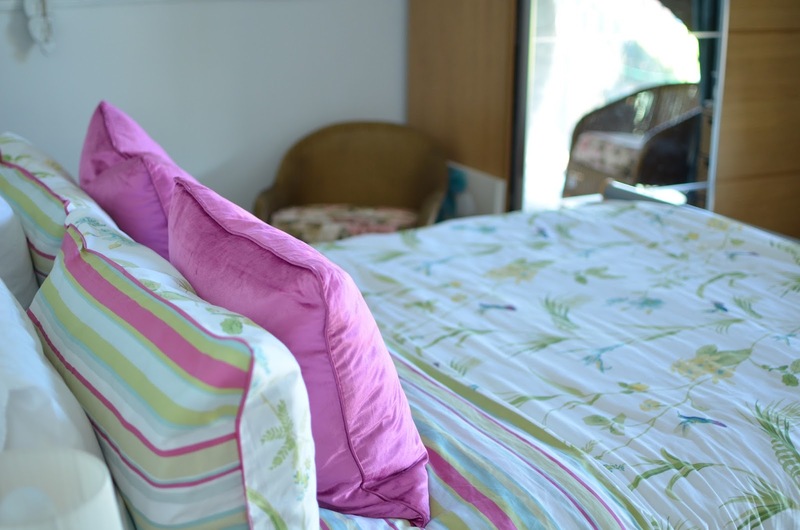 The bold colourful striped pattern on the reverse of the pillows and duvet cover also adds a modern touch to the classic floral print. 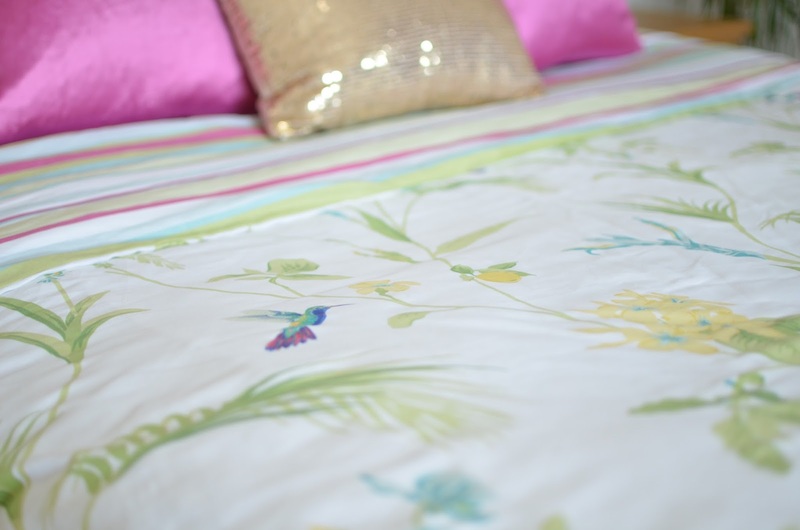 I've never had such good quality bedlinen and it felt like pure luxury to fall asleep wrapped up in my lovely new bedding. 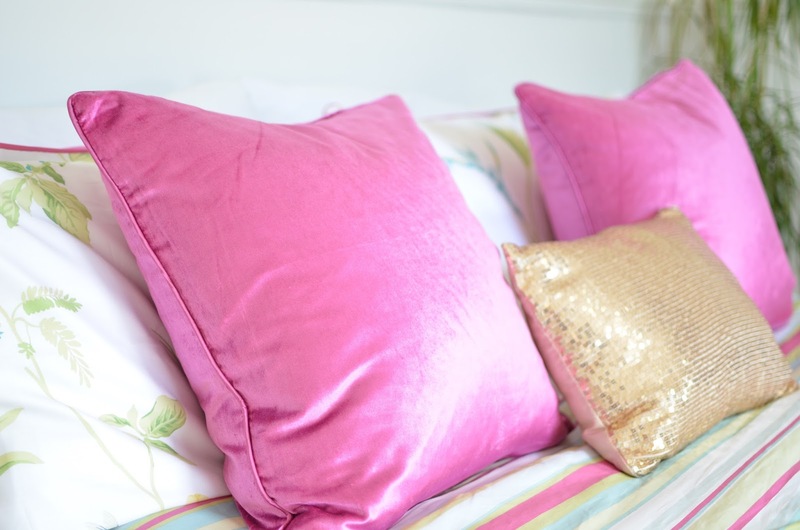 Another really simple way to change the look and feel of a room is to switch up the cushions on your bed. I replaced our old collection of teal coloured cushions for these Nigella Orchid Square Cushion which are a bright fuchsia colour. They're a luxury velvet fabric and feel so comfortable. One thing I really disliked about my bedroom before was the pine wooden dado rail which goes all the way around the room. The wood was very orange toned so I simply gave the wood two coats of white satin wood paint. It's made such a difference to the whole look and feel of the room, I'm not sure why I didn't do it sooner. I also recently put a set of three framed black and white prints of some of our favourite wedding photos above the bed. They add a lovely personal touch to the room and the simple yet elegant white frames look really crisp and contemporary. 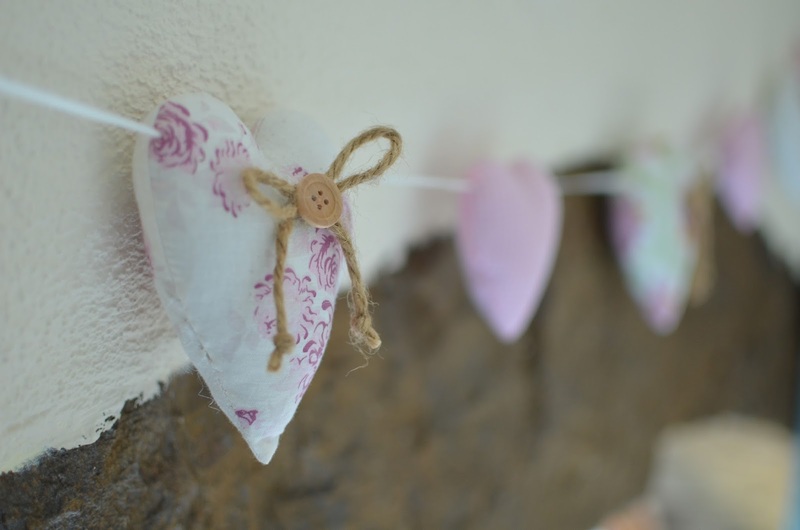 The wooden heart shelf is one of my favourite additions to my bedroom. 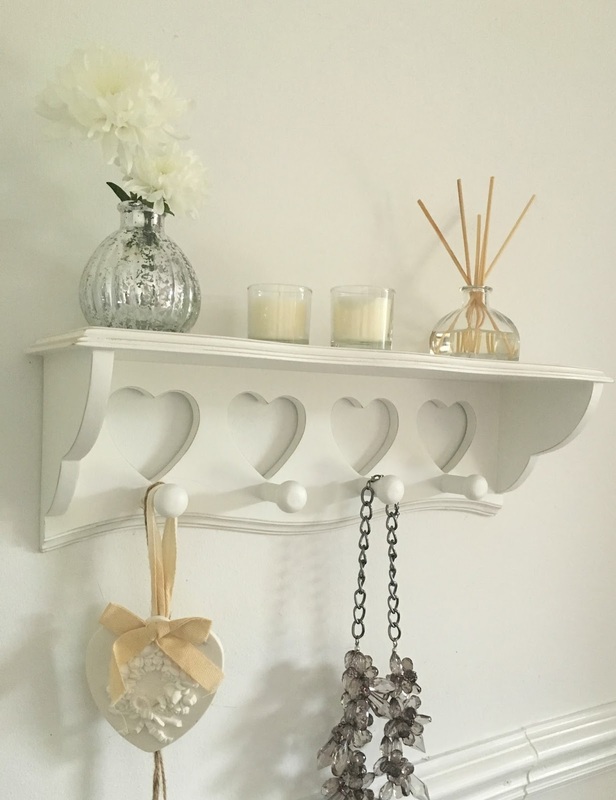 It's perfect as it's compact and not too overbearing, but you can make it look pretty by putting candles on the shelf or pretty jewellery on the hooks. I've put a Laura Ashley reed diffuser and some little jasmine and fresh linen scented candles on the shelf. I really love this corner of my room now and with the addition of a palm tree style plant, this previously dull and dark corner feels fresh and inviting. Honestly, it's amazing what adding a bit of greenery can do to transform and freshen up a room. Instead of buying lots of new accessories, I looked around the rest of my home to see what would work in the new style bedroom. Previously in our lounge, I moved this scrabble tile picture frame into our room. 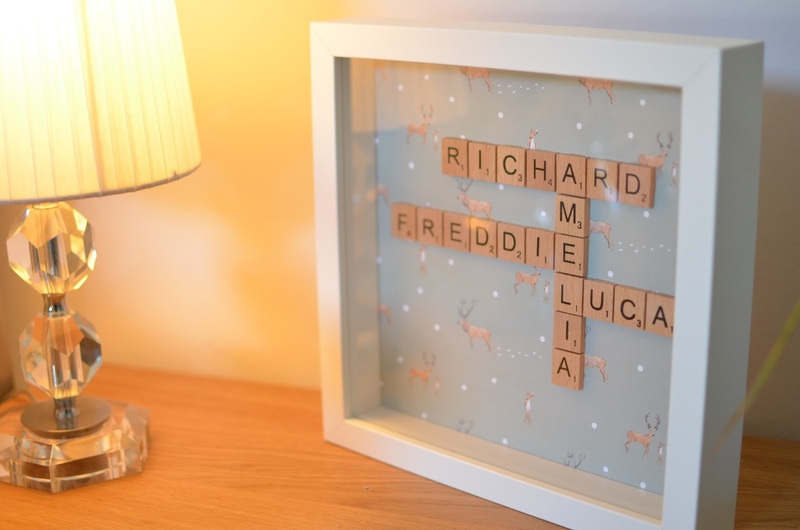 It is a particularly sentimental piece of art as it features all our names and I love having the odd personalised thing in my home. I wanted to add some other accessories to compliment the new bedding. 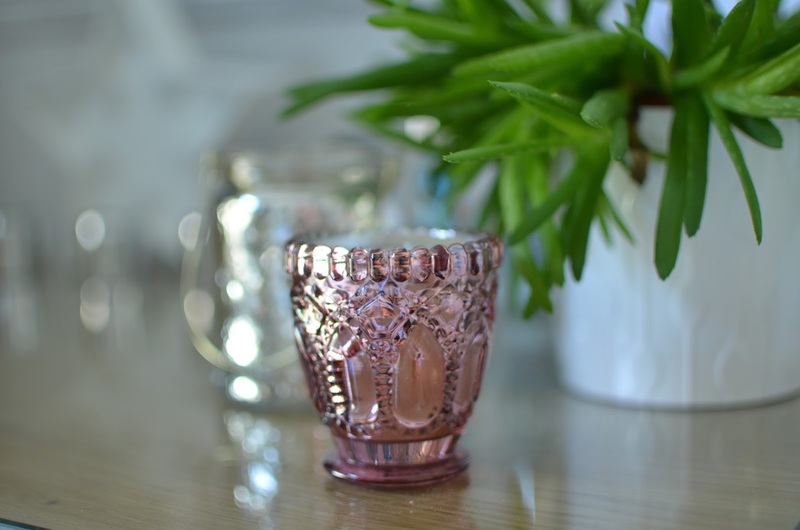 I added a few pink and mirrored glass votives as well as these beautiful Victorian vintage perfume bottles which belonged to my great grandmother and they make perfect flower vases. I am a bit obsessed with scented candles, especially at this time of year. I love nothing more than to sit and chill in my room with an autumn scented cinnamon or vanilla candle burning. 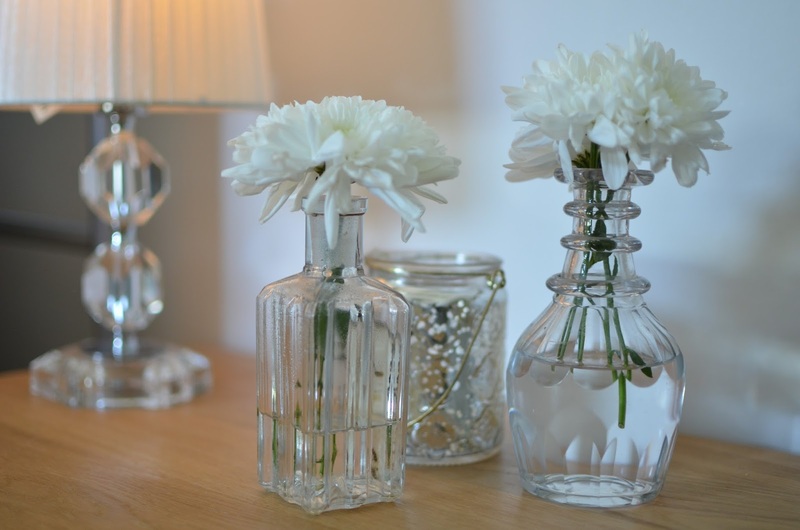 I love these glass votives and jars which I keep on my chest of drawers. 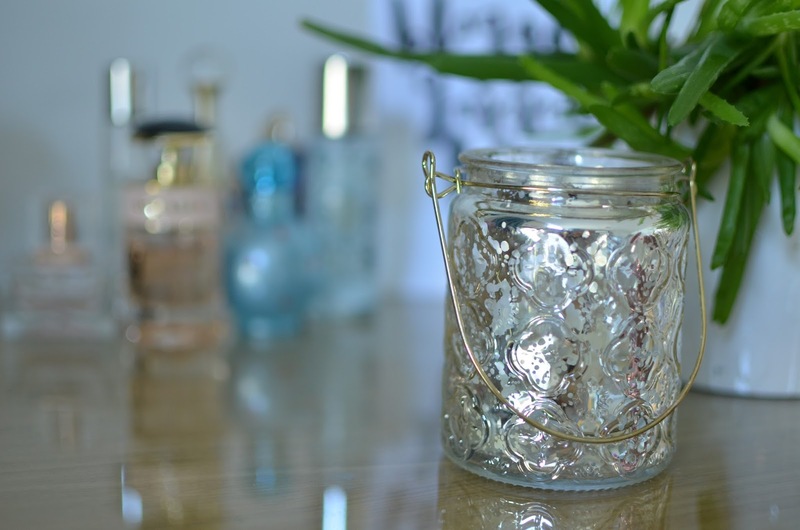 The pink one was from Primark and the mirrored glass jars are from the Range. Overall I am so pleased with our mini bedroom makeover and even more pleased at the transformation even without the need for decorating it. And best of all, when we move house I can take it all with me. 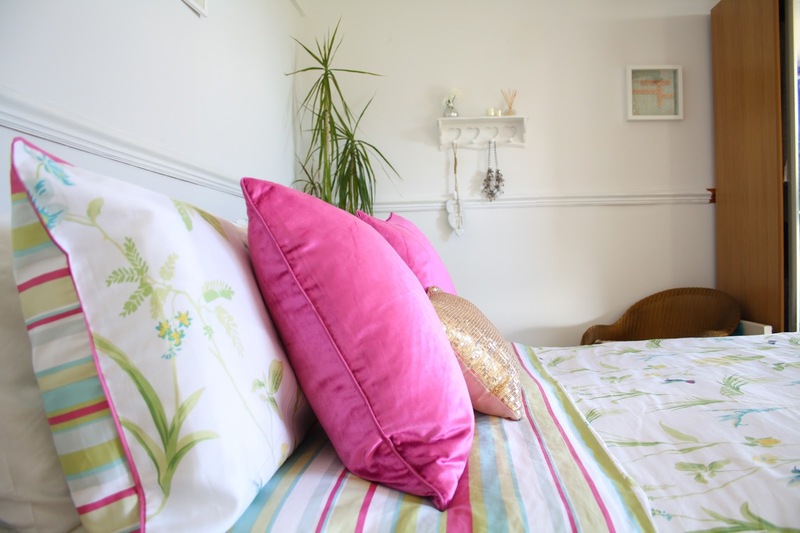 I am planning on re-creating the look in the guest bedroom as it will be a really quick and simple no-decorating transformation. I really cannot wait to move into our new home now and get started with putting our own stamp on the house. On a side note, I am thinking about taking a new direction with my blog doing more in the way of interiors and home posts once we move, and I'll be sharing posts about the move, the new house and settling in to a new area, so keep a look out for those posts in the near future. Thank you Nicky. 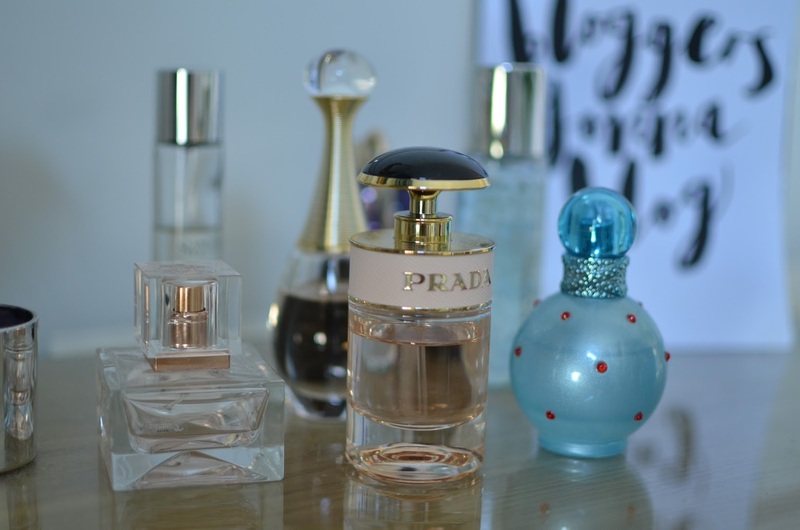 I do love those bottles- the vintage ones were my Great Grandmother's and then my Grandma's too.